The name is Bondius, Jamieus Bondius. 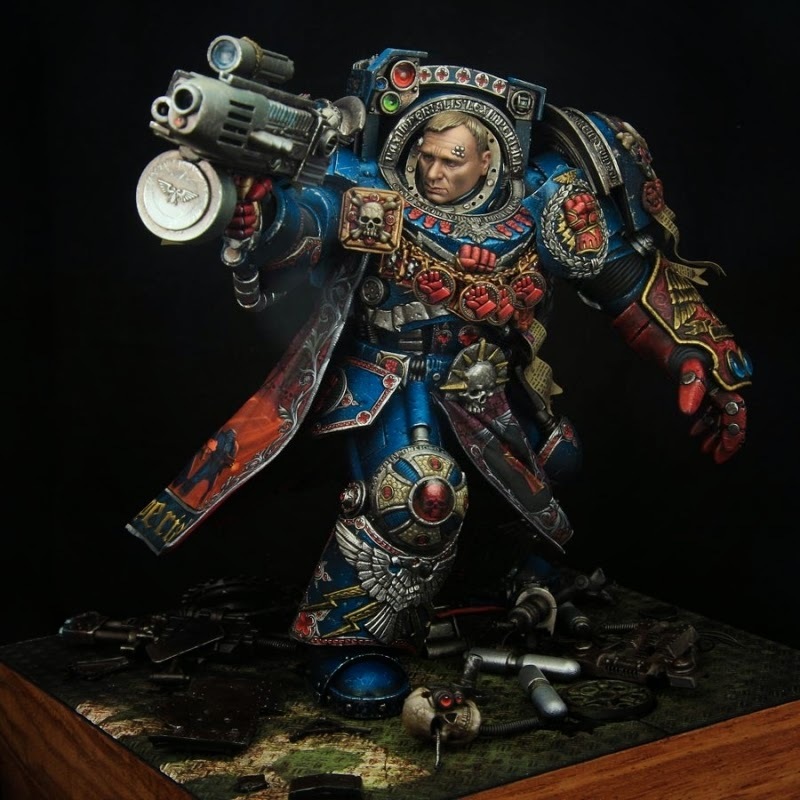 I'm sure almost everyone has seen this model by now, the 2015 Crystal Brush winner, and rightfully so. The detail on this guy is astounding. It's hard to tell from the pictures, but the marine himself is about six inches tall. I was lucky enough to see this in person and even then it's hard to take it all in. Of course it has a ton of gorgeous and extremely intricate free hand on it, including the cape, which is practically a mural. Once you get past all of that though you start seeing the little details that he paid attention to, like the hundreds of tiny scratches all over the armor. It's the small things like this that bring it to life. This model is painted so well that you almost forget that it's 100% scratch built. There is so much detail sculpted on to him it's insane. The most striking detail is his face. It stands out right away. 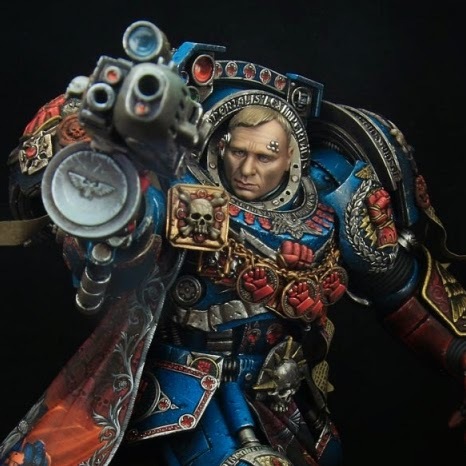 Who would've thought that Daniel Craig would become a Space Marine? I don't know what more I can say about this. I would highly recommend that you follow the link to see the rest of the pictures, they're not to be missed.